WILL THE REAL ANTON HEERDINK PLEASE STAND UP? by Jenny Lanctot, author of Are My Roots Showing? Sepia Saturday: The One That ALMOST Got Away by Wendy, author of Jollett Etc. Cynthia Maria Waterman was my maternal 2nd great-grandmother. Her husband, and my 2nd great-grandfather, was Ebenezer Perry Carlisle Webster. He was a Civil War veteran. Not too long ago, I shared pictures of Cynthia's photo album. In that post, I shared photos of the first half of her album, which included the album's front cover. I also shared a photo of Cynthia as well. If you'd like to see these photos, click HERE. Today, I'm sharing the second half of Cynthia's album. At the bottom of this post you will find a photo of the back cover of her album. It's a pretty album and the front cover is quite ornate. As I mentioned in Part 1, I'm not too sure who wrote the names at the bottom of these pages. But, I wouldn't be surprised if this is Lura Webster's handwriting. I gave my reasoning in Part 1. Lura was married to Paul A. Hammett. Her sister, Lillie Dell Webster, was married to James Perry Burket. It looks like the page on the left in the photo below, held a photo of James and Dell (Lillie Dell Webster) Burket. The page on the left in the photo below says "Lura Webster" and "Ella Engle." Ella was the daughter of Sarah Amanda (Waterman) Engle and Richard Engle. The page on the right says "Myra Chamber" and "Lura Webster." I don't know who Myra Chamber was. The two pages in the photo below held pictures of Mary Boggess and Ella Engle. Mary (Crary) Boggess was a niece of Cynthia Maria Waterman. It's amazing that there was a picture of "Grandpa Webster" in Cynthia's photo album. Grandpa Webster was Moses Augustine Webster, who was born in 1811. He was the father of Cynthia's husband, Ebenezer Perry Carlisle Webster. The fact that "Grandpa Webster" was written underneath this photo provides further proof that Cynthia Maria Waterman didn't write these names in her album. She would not have written Grandpa Webster. She didn't have a Grandpa Webster. But Lura Webster, Cynthia's daughter, did. Homer Waterman was Cynthia's brother. He was a Civil War veteran. Hmm. Nothing is written underneath the photo on the left page in the photo below. Either there wasn't a photo there, or the person who wrote these names in the album didn't know who this person was. Jessie Reno is written underneath the right page. I don't know who Jessie Reno was. These last pages of Cynthia's album have Watson Webster and Malinda Webster written at the bottom of the pages. Watson Webster was Cynthia's brother-in-law. He was Ebenezer Perry Carlisle Webster's brother. Malinda was Watson's wife. Her maiden name was Eavey. Here is the back of Cynthia's photo album. It's amazing to me that Cynthia's photo album has been kept all of these years. I'm so grateful that it is still here for her descendants to enjoy. On November 2, 2013, I shared my Death Causes Pedigree Chart here on my blog. It shows the causes of death for several of my ancestors. Unfortunately, at the time I shared this chart, I couldn't fill out each ancestor's cause of death. Instead I had to put the word "Unknown" in place of a cause of death for five ancestors on the chart. Since sharing the chart, I've received death certificates for three of these five ancestors. One of these ancestors with an "Unknown" on the chart was my paternal great-grandmother, Anna Christopherson. Here is a photo of Anna. I ordered and received her death certificate not too long ago. I'm going to share Anna's death certificate with you today. But, before I do that, let me tell you a little bit about her. She was one of the children born to Ole Anthon Christopherson and Aslaug Nilsdatter. Ole's name may sound familiar to my regular readers. I recently shared a blog post about him in which I wondered if he was a Sea Captain in Norway. The photo of Anna (above) was found in one of my Grandma Ingrid Gillberg's Books of Remembrance. It's a group picture with lots of other people in it. Anna was born on 10 October 1875 in Swift county in Minnesota. She married my paternal great-grandfather, Christopher Iverson, sometime before 1892. They were the parents of seven children. As you can see from this list of children, the seventh child was born the same year that Anna passed away. In fact, Anna passed away when Adellard was only eleven days old. Before I received Anna's death certificate, I wondered if she had passed away due to complications of childbirth. I was surprised at Anna's actual cause of death. It wasn't what I was expecting. So, just what did cause Anna's death? Here is her death certificate. The stated cause of Anna's death was an "Embolus of heart." The duration was "quick." And the contributory (secondary) cause was "*eperal state." So, she died due to a blood clot in her heart. I can't make out the first word for the contributory cause. Here's a close-up view of the contributory cause. If you have any ideas about what that first word is, I'd sure love to hear them. Anna passed away on 4 June 1913 in Torning, Swift, Minnesota. She was only 37 years old. How devastating Anna's death must have been for my great-grandfather, Christopher, and their children. Their two oldest children were adults at the time of Anna's death. But the five youngest children were about 15 years old on down. And the youngest child was not even two weeks old yet. My own grandfather, Arthur Harry Iverson, who was the second youngest child in the family, had just turned three years old when his mother, Anna, passed away. Christopher must have had to be so strong to carry on after Anna's death. He somehow had to work for a living and still care for his children. Perhaps the two oldest children helped as much as they could. The oldest daughter, Hannah, was already married and had her first child one month after her mother's death. As far as I know, Anna's husband, Christopher, never remarried. He passed away in 1925, twelve years after Anna's death. UPDATE: Thanks to Judy G. Russell, author of The Legal Genealogist blog, the mystery of Anna's contributory cause of death has been solved. According to Judy, the word I was having a difficult time deciphering is "puerperal." The Merriam-Webster online dictionary has the following definition for puerperal. It looks like Anna's death was due to complications of childbirth after all. Thank you Judy for solving this mystery for me. Yesterday, I shared a blog post in which I wondered whether or not my paternal 2nd great-grandfather, Ole Anthon Christopherson, was a Sea Captain in Norway. The reason I wondered this is because the words (Sea Captain) are written next to Ole's name on two separate family group sheets that were given to me. If you'd like to read that blog post, click HERE. I belong to two Norwegian Genealogy groups on Facebook. Today, I decided to share yesterday's blog post, along with a request for ideas about how I could find out if Ole was a Sea Captain, in these Facebook groups. Very quickly, people started to help me. It was wonderful! And one very kind person actually found Ole's birth record on the National Archives of Norway website! This wonderful person also found Ole's confirmation record and his parents' marriage record! I'll share those in future posts. Today I'd like to share Ole's birth record. If you'd like to see his birth record on the National Archives of Norway website, click HERE. His record is number 65 on the left side of the page. Here's Ole's birth record.1 I highlighted the birth date, Ole's name, and his parents' names. I'm so grateful to have this birth record! And I'm so thankful for the kindness of the person on the Norwegian Genealogy group who found it for me. This record proves that Ole was born in Tromso, Norway. And this record also gives me his correct birth date. I incorrectly had his birth month as April in my genealogy database. He was actually born in May. His correct birthday is May 21, 1837. I'm very grateful that I posted my question in the two Norwegian Genealogy groups on Facebook. I'm also very grateful for the kindness of those who helped me today. The genealogy community really is so kind and helpful! Was my paternal 2nd great-grandfather, Ole Anthon Christopherson, really a sea captain? The reason I'm even asking this is because of something I saw written at the top of two separate family group sheets. The family group sheets were among family history items sent to me by my cousin's wife. These items were found in my Aunt Joan's house. My Aunt Joan passed away in 1993. Here's a cropped portion of one of those family group sheets. See the words (Sea Captain) written next to Ole's name? I don't know who wrote that. I wish I did. I wish I could ask them why they thought Ole was a Sea Captain. Ole was the second of seven children born to Michael Christian Christopherson and Serianna Olsdatter. He was born on April 20 or 21 in 1837 in Tromsø, Troms, Norway. I have April 21 as Ole's birthdate in my genealogy database. Apparently, I need to do some research to find out Ole's exact date of birth. According to the 1900 U.S. federal census,1 Ole immigrated to the United States in 1870. His parents and siblings also emigrated from Norway to the United States. Ole, who also went by his middle name Anthon, is listed in the 1875 state census in Benton, Swift County, Minnesota2 along with his wife Aslaug and stepson Halvar. This shows that he indeed came to America before 1875. Ole married Aslaug Nielson Aamodt. I have Aslaug's name as Auslag Nilsdatter in my genealogy database. I'm not sure which surname is correct. She was the daughter of Nils Tollefson and Anne Jonsdatter. Aslaug also went by the name of Esther. Ole and Aslaug were the parents of seven children. Aslaug had a child named Halvar from a previous marriage. According to the 1900 U.S. federal census, Aslaug was the mother of eight children, six of whom were living at the time the census was taken. In the 1880 U.S. federal census,3 Ole's occupation was listed as a farmer. And in the 1900 U.S. federal census, Ole's occupation was listed as a boarding house keeper. So, when was he a Sea Captain? Or was he a Sea Captain? If he was, perhaps it was while he lived in Norway. He was around 33 years old when he immigrated to the United States. And as far as I know, he was unmarried while he lived in Norway. According to the biography called "A Smile of Approval" written about Ole's sister Anne, the Christopherson family lived in Kristiansund, Norway for about 17 years. Kristiandsund is along the western coast of Norway. When Ole was 20 years old, the family moved to Drammen, Norway, which is not too far from Oslo. That would have been around 1857. And not too long after the family moved to Drammen, they moved to a farm in Lier, which borders Drammen. I found this interesting picture on the Wikipedia website. It shows Kristiandsund during the early 1840s. Just look at all of the ships! 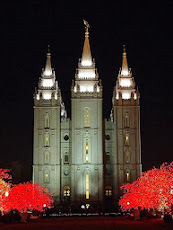 I found the photograph below on the Wikimedia Commons website. It was taken in 2008 and shows the city of Kristiansund in the background and Fugløya Island in the center. Isn't Kristiansund a beautiful place? I find it fascinating to think that my 2nd great-grandfather may have been a Sea Captain in Norway. I wonder if there are any records available that would help me to find out if Ole really was a Sea Captain or not. If you have any ideas, please let me know in the comments below. Thank you! 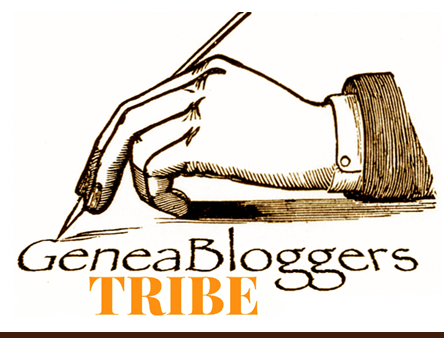 Randy Seaver, author of Genea-Musings, has provided a wonderful opportunity for us to share some of our childhood memories for this week's Saturday Night Genealogy Fun (SNGF). 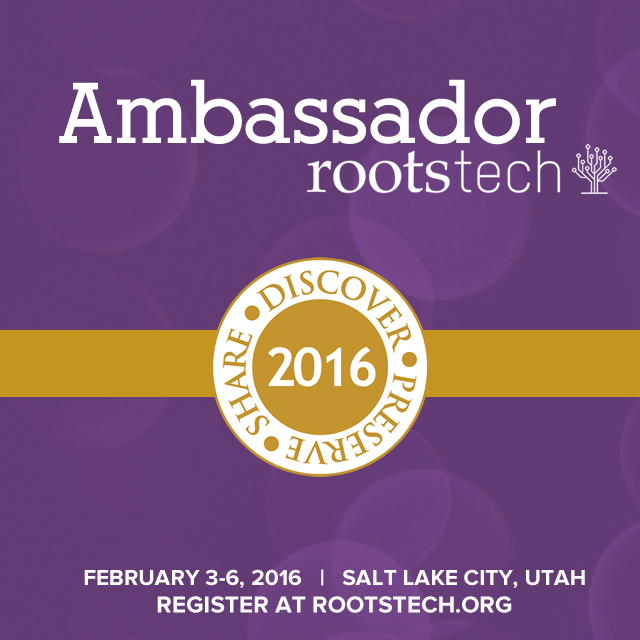 The idea was inspired by Judy Russell's Keynote address at RootsTech 2014. Judy Russell is the author of The Legal Genealogist blog. In Judy's keynote address, she asked the audience six questions about their parents, grandparents, and great-grandparents. With this exercise, she showed how quickly stories about our ancestors are forgotten or not known at all. For today's SNGF, Randy has asked us to answer Judy's six questions from her keynote address. But, instead of answering these questions about our ancestors, we are to answer them about our own childhood. What a great idea! 1) What was your first illness as a child? 2) What was the first funeral you attended? 3) What was your favorite book as a child? 4) What was your favorite class in elementary school? 5) What was your favorite toy as a child? 6) Did you learn how to swim, and where did you learn? 1) I don't remember what my first illness was, but I know that I had mumps when I was 10 years old. I had it on both sides of my face. I also had chickenpox. I believe I had chickenpox sometime after I had mumps, which meant I was an older child when I had it. My two brothers and I had chickenpox at the same time. I had it pretty bad. I even had blisters in my throat. Yes, it was pretty miserable. 2) I'm not sure about the first funeral I attended, but I do have a memory of getting up early to travel up to Oregon to attend the funeral of my Aunt Pamela. I was 11 years old at the time. We lived in California, so this was going to be a long car ride. My Aunt Pamela tragically passed away of leukemia at only 24 years of age. She was my father's sister. 3) I had a few favorite books when I was a child. I remember that my father brought these books home when a school was giving them away. I still have these books today. They are "The Horse That Takes The Milk Around," The Crooked Colt," "Blaze And Thunderbolt," and "Miss Suzy." The illustrations in "The Horse That Takes The Milk Around" are so cute. This is one of the pages from "The Crooked Colt." 4) Unfortunately, I don't remember if I had a favorite class or grade in elementary school. It had a house, an airport, a gas station, a grocery store, a church, a hospital, a fire station, a train station, a barn, and a lake called Emerald Lake. And it even had a train track that went around the town. These were stitched onto the blue cloth background. My brothers and I had so much fun playing cars on this car town when we were little kids. I also had a collection of marbles. I liked the pretty ones. These are some of the marbles from my collection. I kept a few of my childhood toys so I could show them to my children. 6) I did learn how to swim. I don't remember exactly where I learned though. I do remember going to a local community college to either attend swimming classes or to just swim during free swim time there. Perhaps I went to both the classes and the free swim times. I hope my children and grandchildren will enjoy reading this post and learning about some of my childhood memories. Thanks Randy Seaver for this week's SNGF prompt which provided an opportunity to travel down memory lane. It's been fun! In a previous post, I shared pictures of the photo album that belonged to my 2nd great-grandfather, Ebenezer Perry Carlisle Webster. He was a Civil War veteran. If you missed that post, click HERE. In that post, I explained how I was able to take pictures of Ebenezer's album during a visit with my 3rd cousin, who owns this precious album. I also mentioned that Ebenezer's wife, Cynthia Maria Waterman, also had a photo album. My 3rd cousin inherited Cynthia's amazing photo album as well. And during our visit, I was able to take pictures of this fascinating photo album too. Today I'd like to share photos of Cynthia's album with you. This is the front of Cynthia's photo album. Isn't it pretty? It's quite ornate compared to Ebenezer's photo album. It's also larger than Ebenezer's album. I love that the first pictures in the photo album are of Cynthia's husband, Ebenezer Perry Carlisle Webster, and herself. And here is the photo of Cynthia Maria Waterman that was on the right side of this first album page. Cynthia Maria Waterman was born on 21 May 1836 in Coolville, Athens, Ohio and passed away on 22 September 1895 in Marysville, Marshall, Kansas. She was the tenth of twelve children born to Asher Waterman and Bathsheba Paulk. Unfortunately, I don't know who's handwriting is at the bottom of these pages. It wouldn't make sense for Cynthia to have written "Aunt Amanda" in the photo above, because Amanda was Cynthia's sister. Amanda's full name was Sarah Amanda Waterman. This name may be familiar to my regular readers because of an exciting adventure I've shared recently. It has to do with vintage postcards from the early 1900s that were written to Sarah Amanda Waterman and her husband, Richard Engle. These postcards were discovered in Ireland in a second-hand shop by a sweet woman named Ann. And because of Ann's kindness, I am now in possession of many of these postcards. If you'd like to read about what I call "The Engle Family Postcard Adventure," click HERE. Okay, back to Cynthia's wonderful photo album. So, who did write on these album pages? I asked my 3rd cousin, Norma, if she knew who wrote on these pages, but she didn't know for sure. She did say that it was among her grandmother's things and thought that perhaps it had belonged to Lura Webster, who was one of Cynthia's daughters. Perhaps Lura wrote on these pages. That would probably make sense because Sarah Amanda Waterman was Lura's aunt. And, that would explain why "Aunt Amanda" was written under Sarah Amanda Waterman's picture. You can see Lura's name written at the bottom of the right page in the photo above. She was married to Paul Anderson Hammett. That's what the P. A. Hammett stands for at the bottom of the left page in the photo above. I'm grateful to Lura or whoever did take the time to add names to these pictures. As I said, Cynthia's photo album is larger than Ebenezer's photo album. And there are more pages in it as well. Because I don't want this post to be too long, I decided to share Cynthia's photo album in two posts – Part 1 and Part 2. I will be sharing Part 2 of Cynthia's photo album in a future post. It won't be part of the 52 Ancestors blog challenge though. Paton-MacEntee Down Under in Brisbane. by Caitlin Gow, author of Genealogically Speaking. Sepia Saturday: The Runaway by Wendy Mathias, author of Jollett Etc.